For the second time today, Drury freshman Bailee Nunn etched her name in the NCAA Division II record books; she first broke the national mark in the 200 breast in prelims, then repeated in finals. Theresa Hayward of West Chester had established the time to beat out of the morning heats with a 9:54.83. From the start, it was lanes 4, 5 and 6 with Georgia Wright, a freshman from West Chester, Grand Valley senior Leonie Van Noort, and Delta State sophomore Caroline Jouisse who set the pace. Jouisse led by a half body length over Wright and Van Noort through to the 600. Wright began her descent and took over the lead, increasing it with each 50. Down the home stretch all three put their legs in; Wright and Van Noort both came in under meet record time, with the West Chester freshman getting the win in 9:48.87. Van Noort was runner-up with 9:49.18, while Jouisse placed third in 9:52.73. Hayward’s time from the morning was good enough for fourth. 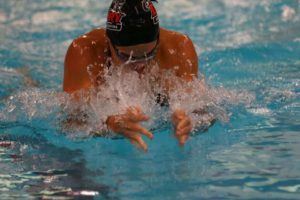 It was a crowded field through the butterfly, but Drury freshman Bailee Nunn began to pull ahead in the backstroke. Wingate junior Alexis Divelbiss pulled even with her at the back-to-breast turn, but it was all Nunn in the breaststroke. She extended her lead over the final 50 and touched in 1:56.51, 2 seconds ahead of second-place Divelbiss (1:58.57). Third place went to Hannah Kastigar, a junior from Northern State, who clocked in at 1:59.05. Morgan McClure of Cal State East Bay won the consolation with 2:01.23. With a quick start and strong underwaters, West Florida senior Theresa Michalak led wire to wire and grabbed the 50 free title with a dominant 22.79, the only woman to break 23 seconds. The surprise came when the outside lanes finished second and third. Lara Marshall of Queens was runner-up with 23.01, and senior Cheyenne Rova of MSU Mankato, third, with 23.06. Marhall and Rova had tied for seventh in prelims. Sydney Panzarino of Nova S’eastern won the consols in 23.21. 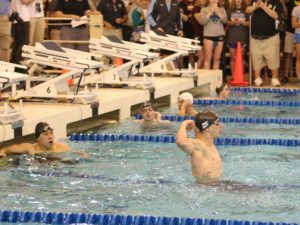 After breaking the NCAA Division II meet record by a half-second in prelims, Drury attacked the final with gusto and took another .52 off to lower the national mark to 1:38.78. Yekaterina Rudenko bgan with 25.24, touching 1/100 behind Queens senior Hannah Peiffer. Zuzanna Chwadeczko took over with a 27.47 breast split, putting Drury ahead by half a body length. Vera Johansson was the butterflyer in finals, replacing Abby Lunzmann. She split a 24.23. Freshman Bailee Nunn took over and it was lights out; she anchored with a blistering 21.84 for a combined 1:38.78. Queens (Peiffer, Michelle Prayson, Georgia DaCruz, and Kyrie Dobson) were runners-up with 1:40.10. Wayne State (Brenna Gabrielson, Manuela Ferreira, Abi Johns, and Lezlie Bueno Esrada) out-touched Wingate for third, 1:41.01 to 1:41.06. It couldn’t be a more exciting team race than what we’ve got going on between Drury and Queens. 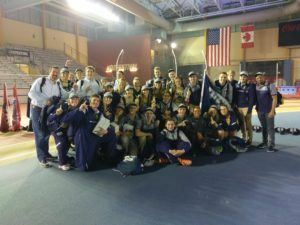 The Panthers had big swims this morning that allowed them more A finalists than expected, and while they lost a little ground to second-place Queens in finals, they nonetheless ended Day One with a one-point lead. Wingate and Nova S’eastern, meanwhile, will have a close race for third place, with Delta State and West Florida trying to challenge them as well. 2 Women, one freshman and one senior, broke the 1,000 record from 2008. 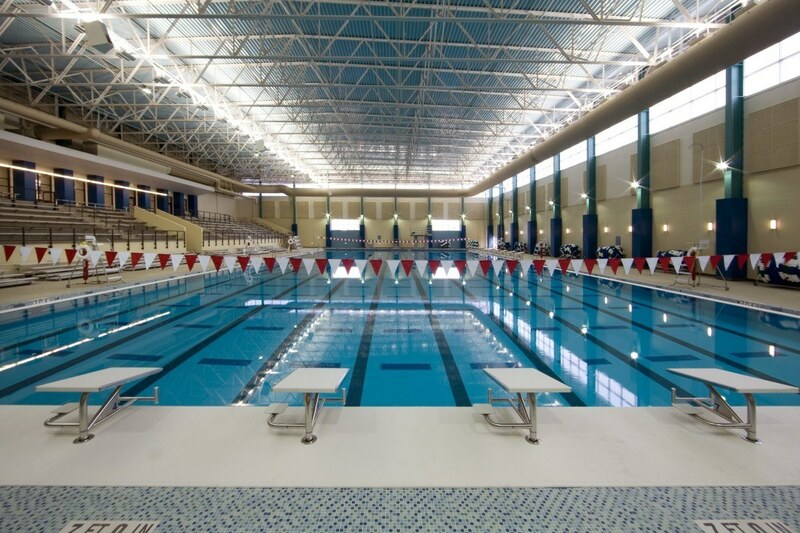 There has been a lot of talk about D1 swimming getting much better but it looks as if D2 is also getting much better. Will one of these women also break the 1650? will another person who was a few seconds off break the record? Tune in to find out!